We’ve all heard of Human Growth Hormone (HGH), and we all have it circulating in our blood systems in small doses. The body naturally produces HGH in the pituitary gland, once secreted HGH, remains active in the bloodstream for just a few minutes, during this time the liver to converts growth hormone into growth factors. The most crucial of these being insulin-like growth factors which has growth promoting properties on every cell in the body. HGH is responsible for all cell growth and regeneration in the body helping play a vital role in maintaining the health of all human tissue, including all your major organs specifically the brain. It is almost impossible to increase your lean muscle mass and bone density without it, but the good news is there are ways to increase your growth hormone levels. For both men and women, natural levels of growth hormone peak during puberty and start to drastically decline in your early twenty’s. A healthy female can produce twice that amount during pregnancy and for child bearing purposes. Why should I supplement HGH? 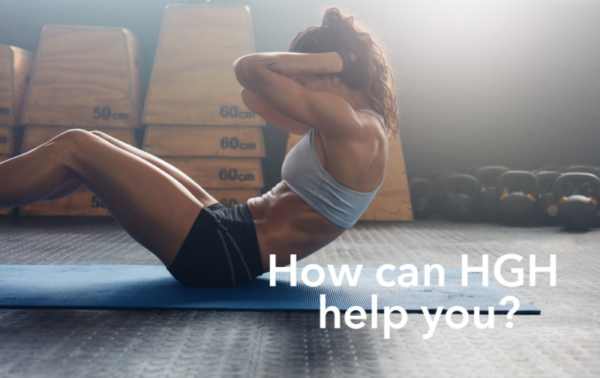 HGH can be used in larger doses to promote weight loss and increase muscle mass, while small dosages can help with general recovery, health and help promote the anti-ageing process. L-Glutamine: can help boost your growth hormone levels and hydrate cells. L-arginine: studies have shown that arginine alone increases your resting growth hormone levels by at least 100%. If you are struggling to naturally increase your body’s hormone levels then don’t stress we have the answer! Take a look at a few of our products that can help you increase your HGH production and find the right health solutions for you!